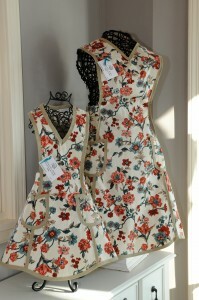 Very sweet vintage style, child’s sizes S M L available. Notice the tulip shaped pockets; the skirt wraps all the way around to back ties. 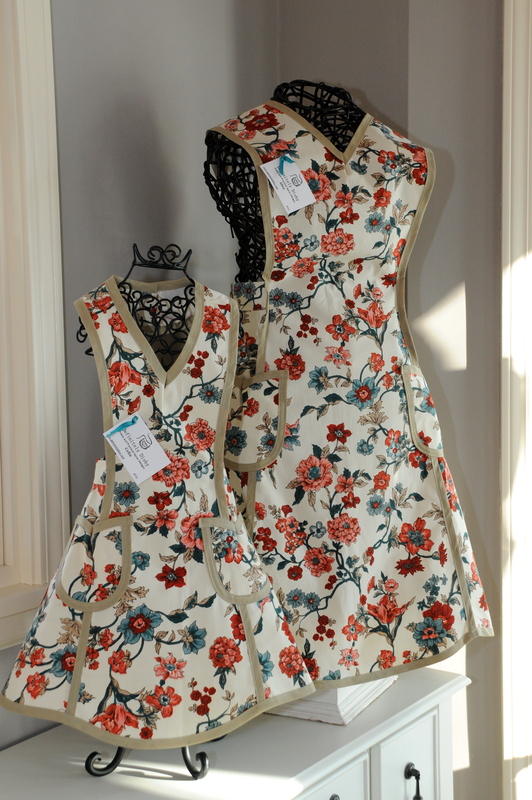 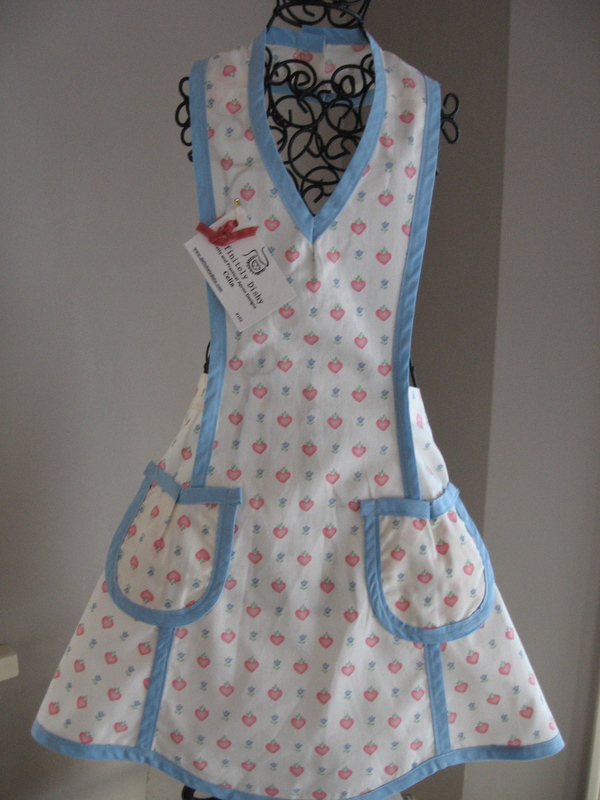 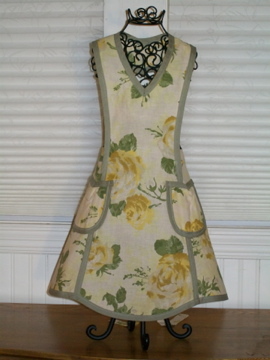 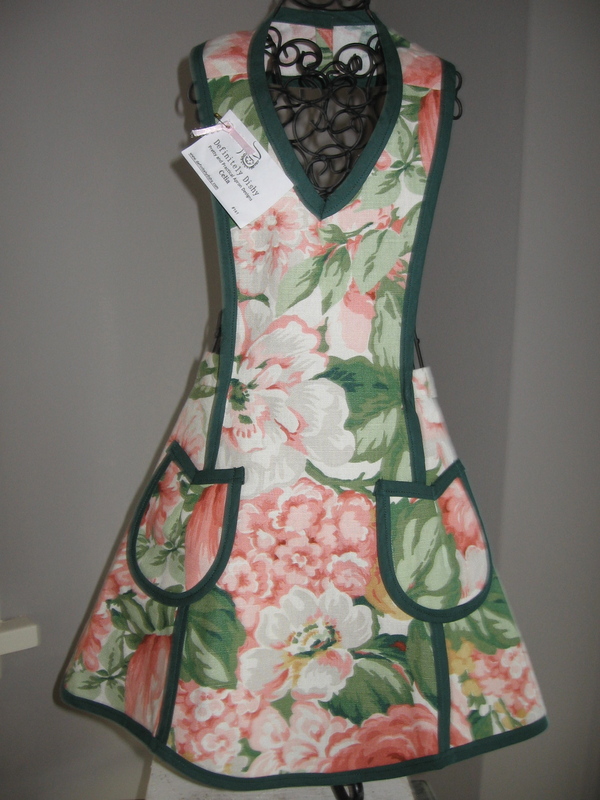 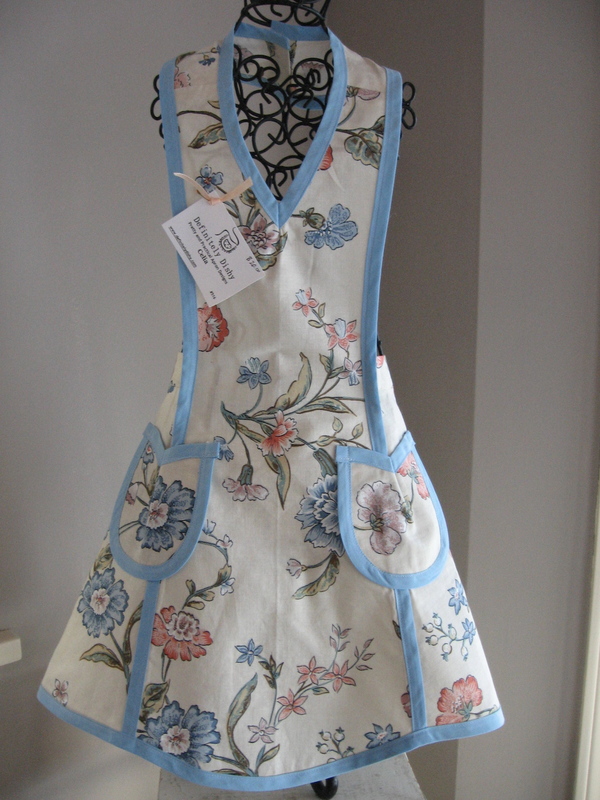 Our adult Alice style is an exact match if you are considering mother/daughter aprons!